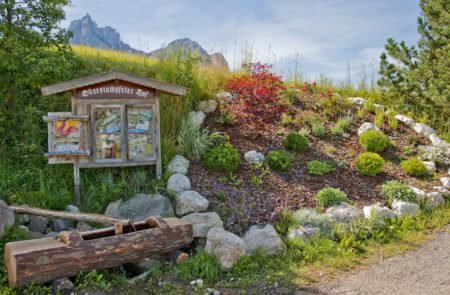 The term „in tune with nature” is a way of life on the farm Oberstampfeter Hof. 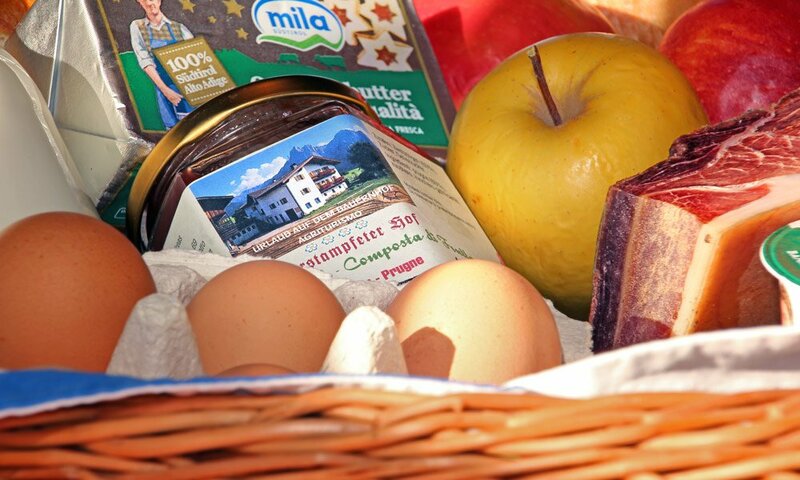 In order for you to enjoy nature products during your stay in South Tyrol, host Martina will offer you fresh seasonal fruits and vegetables from our own garden. 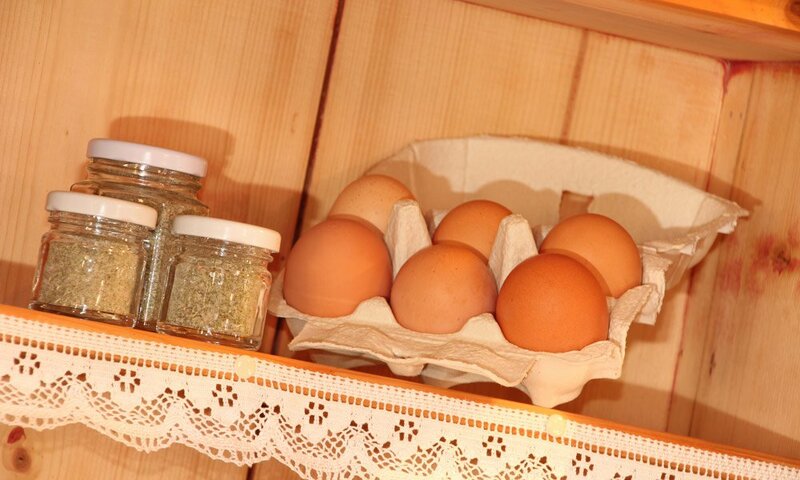 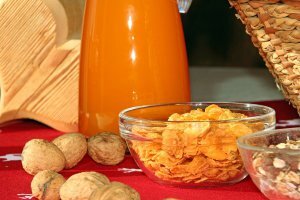 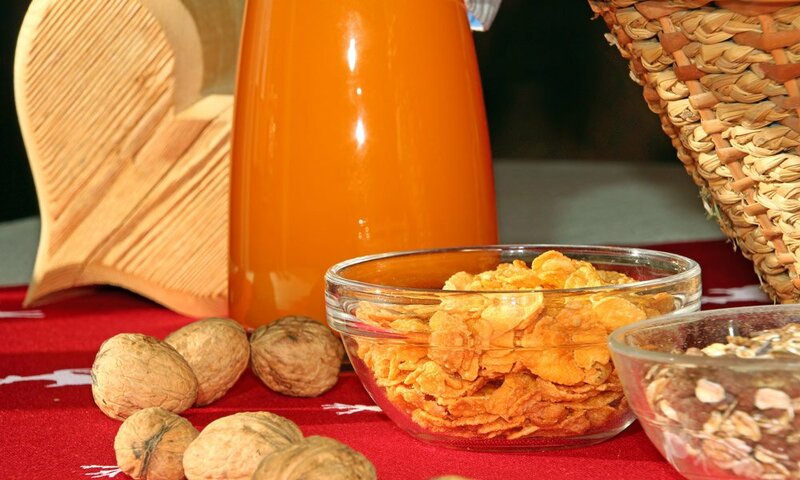 Upon request, we will provide you with other regional products, like bread, eggs, milk and homemade juices and jams. 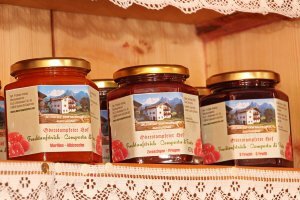 Thus, you can not only see and feel nature during your vacation on the Oberstampfeter Hof, but also smell and taste it in its purest form! 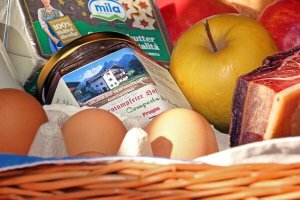 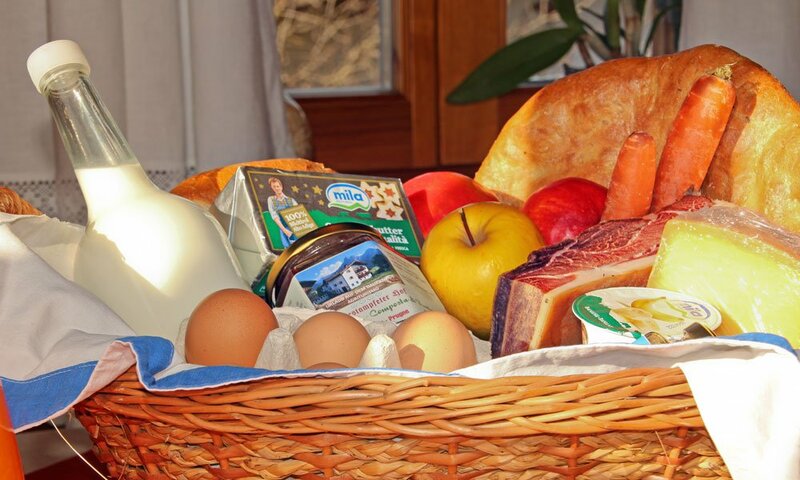 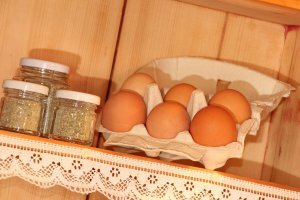 Your host on the farm Oberstampfeter Hof – Martina – loves to spoil her guests with many home-made delicacies. 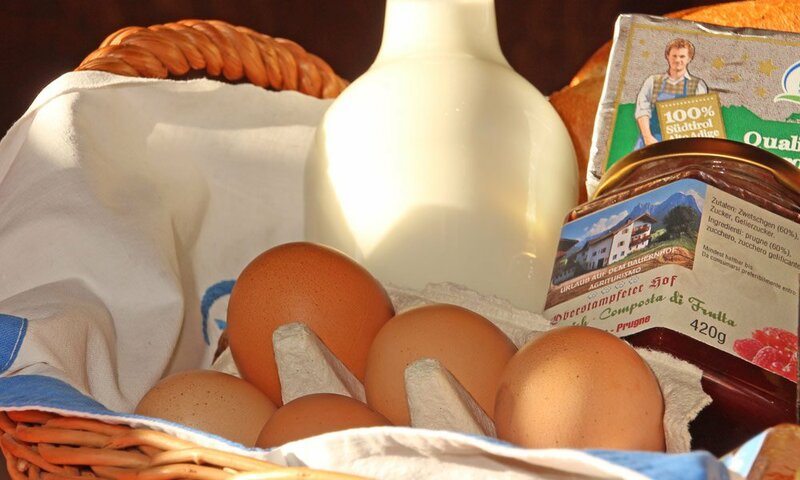 Taste her bread, milk and eggs – simply order the needed quantity one day ahead until 6 pm, and you will have all these fresh treats on your table the next morning. 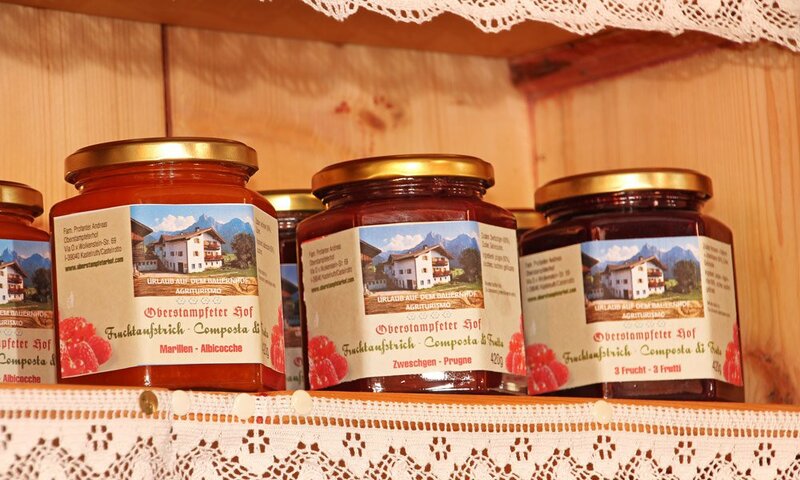 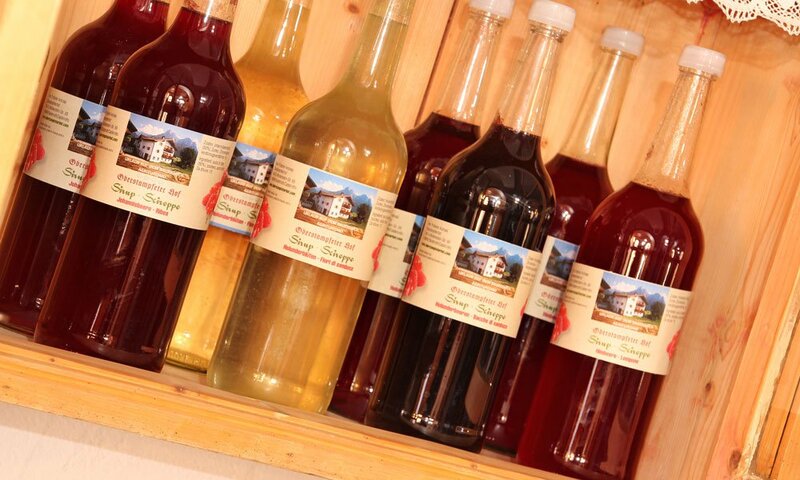 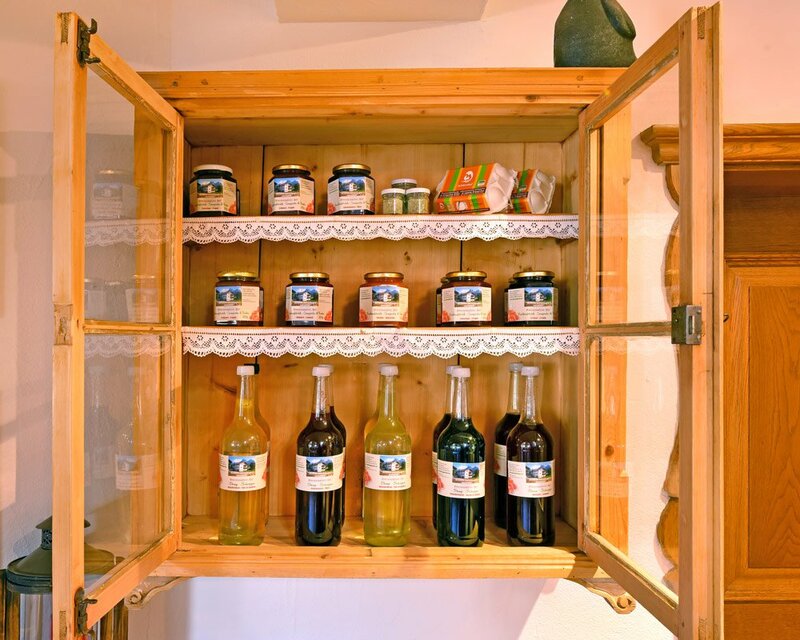 Furthermore, you can enjoy different homemade jams at the farm Oberstampfeter Hof, like strawberry, blackberry with cinnamon, redcurrant, 3-fruits, apricot and raspberry jams. 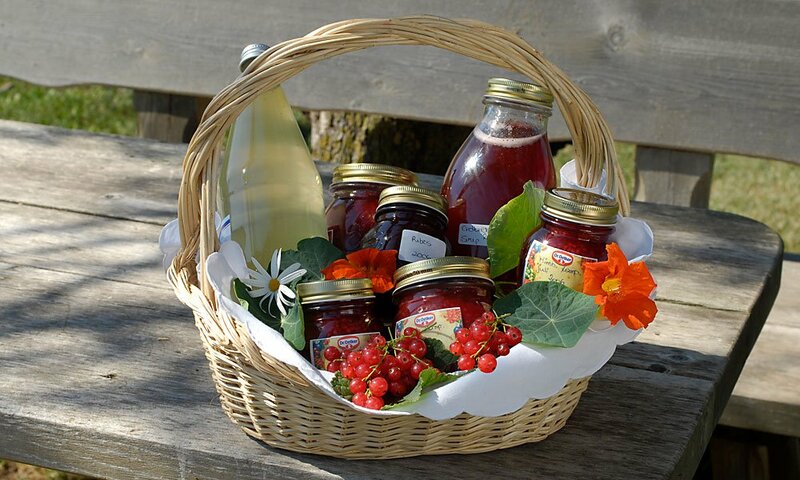 The most popular fruit juices for our guests include elderberry and elderberry blossom juice, as well as redcurrant and raspberry juice. 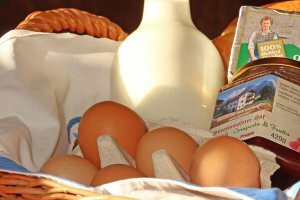 The fresh vegetables from our garden and fresh potatoes can be purchased at any time from your host or in the farm shop. 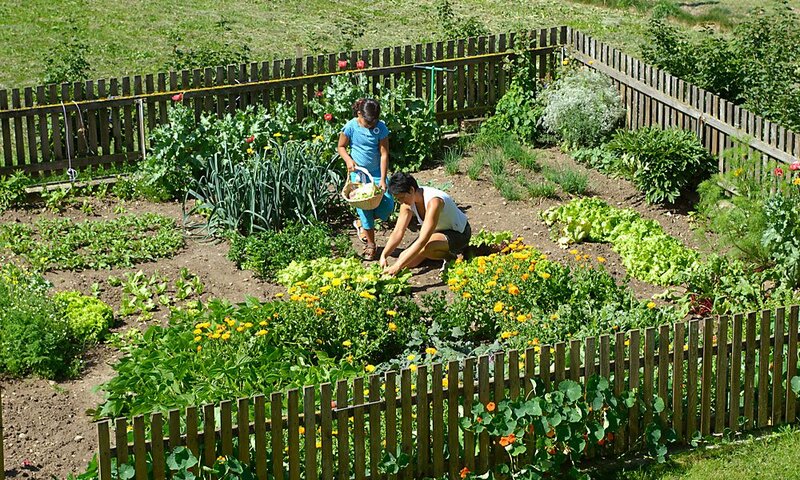 And as a special extra for foodies, a herb patch was build right next to the vegetable garden, where gourmets can find aromatic herbs, like oregano, basil, thyme and rosemary. 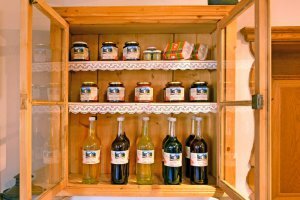 Here you can pick the fine herbs you need for your home-made plates, every time you prepare some delicious Mediterranean dishes from tomatoes, bell pepper, eggplant or zucchini.